Need help choosing a reliable and FUN compact hatch or sedan. GTI, Civic SI, Focus ST top the list. Manual transmission is a must. I plan to keep it 10 years and give to son as first car. 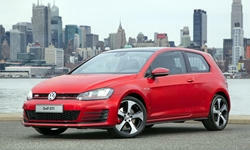 Dark horse in the running is Golf Sportwagen S 4motion. Any thoughts on VW reliability? VW reliability has steadily improved since 2010, however it is no match for the Japanese cars. Add to that VW service is more difficult to find than Honda and when you do find it the cost is nearly double for repairs. On the other hand, the VW is more comfortable and fun to drive. It just comes at a price. You probably cannot go wrong with the GTI if you value the German feel of the brand. If you don't get the German thing, buy something else. I am not betting on passing any car down to the next generation ten years from now. Electric and autonomous cars will replace everything by that time. Allot of obe-year reviews include repairs and replacement parts. I own a 2015 GTI - my second VW after 20 years of trouble free Honda/Acura ownership so I think I offer some good perspective. My first VW was a 2013 Sportwagen TDI. A wonderful car, but we sold it back with the diesel scandal and bought the GTI. We put about 60,000 trouble free miles on the Sportwagen. It was an extremely tight, well built car. I bought the GTI Certified Pre-Owned with 20,000 miles on the clock and it is now nearing 40,000 miles. I have had one issue that was taken care under warranty. The Oil cooler had a seal with a manufacturer defect. Took a few days to fix, but I had a loaner and all was fine. Volkswagen has come a long way with reliability the past 20 years and is now generally mid-pack in most surveys - between Mazda and Subaru in the recent JD Powers list. My car still feels tight, with no major squeeks or rattles. The Golf is one of the best selling cars in the world, so I suspect that it is more reliable than the average VW's as it is the companies bread and butter. The 2.0T engine is also tried and true. The car has an oil temp gauge, so I always make sure oil is warm before I rev the engine - critical to long term success in any turbo engine. Important: 2018 Volkswagens now have a 6 year, 72,000 mile warranty as VW tries to regain marketshare in the U.S.A. after the scandal. Get a 2018 if you can........ I think the GTI also gets a cool digital dashboard. Crock summed it up well. German companies differ a bit from the Japanese brands in that you need to follow the manufacturer's recommendations very closely. Important to use lubricants and filters that meet VW's standards, etc..... Filters cost a few $$ more. Higher grade synthetic oil is a bit more, etc.... Oil changes are 10,000 mile intervals, so not a huge issue. If you get a manual, you avoid the expensive ($500) DSG service every 40k miles. I did just have to special order a Bosch rear wiper from Germany as Amazon didn't have an 11" wiper in stock. VW keeps it interesting :). BTW, the stock wipers are Bosch and they are excellent. While ownership is a bit more involved, you are rewarded with a very nice driving experience. The handling is excellent, steering has a nice weight. Power/Torque is very good. Overall the interior quality feels more like a more mature luxury car than competitors like the Focus, Civic and Subaru. I'm an Architect and a bit of a design snob, so I like the clean, rational design of the VW over the Civic, Subaru and Focus. Those are all great cars btw and I get that many find the VW styling boring. I don't like attention. My wife recently sold a 2014 Impreza and the VW just feels much higher quality. Doors are heavy and close with a thud. Hinges are cast and not stamped. Switches operate more firmly. Hood has pneumatic struts that hold it open. Battery is in a nice felt box. etc..... I give up AWD, but I bought a set of snow tires and the car has a nice stability control, so it does fine. My kids are 9 and 11 and fit just fine in the back seat. I am 5'10 and can fit in the back comfortably. My 9 year old son hopes he gets the GTI some day. I have owned some fun Honda's..... an 85 Civic Si, a 99 Integra GS-R, a 2003 Element..... (won't mention the minivan) and I feel like the GTI is a better spiritual successor to those cars. I cleanly designed, simple, fun car. The modern Civic styling has gone off the rails with fake vents galore. No fake vents on the VW. Of the 3 you mentioned, I would get the GTI. Like others have mentioned VW reliability has been improving. Life is short. The GTI is the most refined of the 3 mentioned, better ride, Driving dynamics. We had a VR6 Passat, a Toaureg and now my Mom got the 2018 Tiguan SEL Prem and she loves it. No major issues on the 2 VW's we owned. That MQB platform is just solid and tight. I currently lease a 2017 Acura MDX SH-AWD and its a sporty fun to drive SUV. But somehow I still miss the Toaureg we had for 3 years. Something about it overall that I don't quite find in the MDX. Again the key to VW - is maintenance, properly maintained, it will give you years of Driving satisfaction. Test drive the Civic and go back to a GTI, you will know the differrence ight away and I can't get past the ANIME desigh of this cars lol :). I'm planning to get a CPO passat VR6 for a DD because of the new job I got, involves more driving- I like VW's :) My 2 cents. Another long term (3 decades) Honda Civic / Del Sol / Fit owner who for years lusted for a GTI. I never had a wit of problems with any of my Civics, most were low mileage but several were 6-10 years. old and had over 100K (one over 200K).The Civics were all fun to drive and practically ran on gas fumes. But they were loud, & stiff legged. We moved to Seattle where the roads extremely rough & decided not to put up with our beloved 2011 Fit's ride any longer. But we wanted the fun to drive element, good fuel economy, and utility of the Honda hatches. Considered a number of other cars including Focus, Kias, and Golfs. Read owner reveiws until I was numb. VW Golf / GTI is hard to figure out, there just doesn't seem to be any consistency. Some folks drive them for 100K without any issues. Others have them in the shop a dozen times the first year. I finally decided to take a chance on a VW, but I cheaped out and bought a Golf Wolfsburg edition I consider it to be GTI Lite and a Fit on steroids. It does everything the Fit did only better and is way more comfortable. Highway fuel mileage is as good as Fit, city almost as good. But it is way way more comfortable and handles the Seattle lumps with aplomb. Now should say I haven't driven a late model Civic (don't care for their current look ) but the latest reveiws indicate that their ride & noise levels are much better. After a 14 months year and 8,8000 miles the VW has been in to the shop once for a fuel door problem. Love the car, got my fingers cross on the long term reliablity (for me that is 7 yrs & 70,000 miles). All that to say that if history is any indication, if ya gotta pass it on to your son in 10 years, get a Civic. If you want to have a great fun ride for the next 5-7 years - maybe more, get the GTI. My personal favorite is the Golf or GTI. 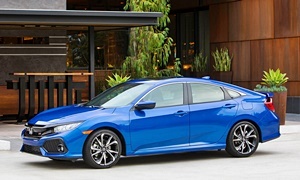 It will have higher repair costs, but the other option is a Civic Si from the worst generation of the Civic. 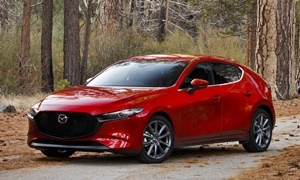 Also consider the Mazda3 with the S trim. It has 184 hp and can be had with a slick manual transmission. My son has a 2015 Mazda3 and he loves it. I like it too. It has the handling similar to a GTI, but is also reliable. Fuel economy is very good, around 39 MPG on the highway. Definitely take a look at it before you decide on the GTI. Adding to NormT's good idea of a link to a review: Both Edmunds and MotorTrend had long term GTIs & loved them. Edmunds put over 20K on theirs & MT about 27K. These long term test cars are defintely not babied but rather are put through some pretty rigorous paces Neither reported any serious mechanical issues. Seems to support the concept of improved reliablitiy for VW's small hatch. Since the Golf/GTI will be redesigned for the 2019 model year, you will get a lot of incentives if you wait until the end of 2018... assuming you don't need a car right away. Or you could get a new 2019 Mk 8. Decisions decisions..! Latest and greatest model (hopefully) or save a few grand? Redesigns are so tempting .. latest of everything, often (but not always) signicant improvements, sometimes changes that are not so welcome. Based on past GTI generations the MK8 is likely to not look radically different but be somewhat larger, more comfortable, have more oomph with equal or better MPG. But don't overlook the 800 lb Gorilla of redesigns - the potential for teething pains with all the new stuff. Last run of current design is so tempting... pretty darn good car as it is, known & time tested tech & reliablity, potential savings of thousands of dollars. By watching VW / Golf / GTi forums you can get a pretty good idea what the new model will have to offer a month or two before their release. Sometimes, but no always, you can get a chance to test drive the new model while there is still a reasonable selection of the old model on the lots. But not always, recent release of the 2017 LEAF & 2017 VW Golf E were delayed until old inventory was pretty depleted. In the case of the Golf E the 2017 model wasn't generally available until Nov of 2017!